Bans on texting and driving prevented more than 1,600 emergency room visits a year, a new study found. 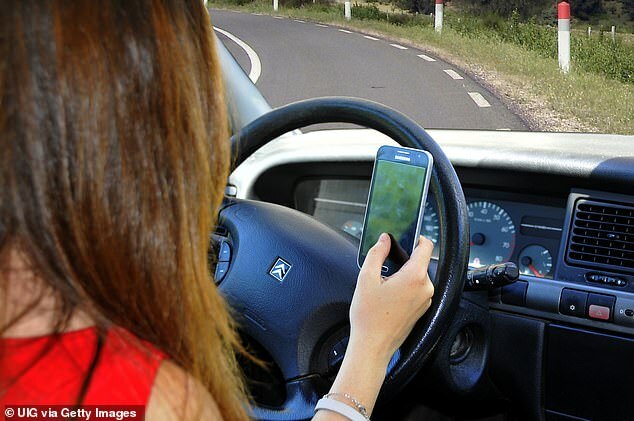 At any given moment, some 660,000 drivers are fumbling for, glancing at or chasing after their phones while behind the wheel, according to the National Highway Traffic Safety Administration. And drivers distracted by their phones are at fault for about one in four car crashes, resulting in almost 390,000 texting and driving injuries, the National Safety Council says. But there’s an easy fix: banning cell phone use on the road. Laws against texting and driving in 47 states reduce the number of annual ER visits by four percent, a new Texas A&M study reports. Our smartphones make so much in our lives easier. Constant contact and having answers to any uncertainty at our fingertips might even make us feel safer. But that’s simply not the case behind when we’re behind the wheel. As the National Safety Council asserts, driving and using a smartphone both take a lot of brain power and concentration, and trying to do both at once is just too much for our minds. The result of our attempts to multitask behind the wheel is some 1.6 million car crashes every year. Having watched in horror as testing and driving drove a sharp increase in car accidents, legislatures in nearly every US state have now passed laws prohibiting the practice. And it’s working, the new study suggests. The Texas A&M University team analyzed data on various kinds of texting and driving laws in 16 states between 2004 and 2017 and the impacts of these laws on hospital admissions. States may enact one or more of several types of cell phone use bans. Some have primary bans, which mean that a police officer has the authority to pull over a driver just because they are using a cell phone. When a secondary ban is in effect, cell phone use is still punishable under the law, but an officer has to have another reason for pulling someone over (such as reckless driving or speeding). Bans may also apply to all drivers or just to inexperienced, or ‘novice’ drivers, as 38 states have. Previous research has linked primary texting bans to a seven percent reduction in hospitalizations for car crashes. The new study found that any of the four possible forms of bans had significant public health benefits. Across the board, the introduction of these laws led to four percent fewer hospitalizations across all age groups. This was measured in comparison to Arizona’s hospitalization rates, as the state did not yet have any form of texting-and-driving ban during the study period. Arizona remains one of just three states in the US that doesn’t have a universal ban on texting. It and Missouri have bans in place blocking young drivers from cell phone use, and Montana has texting and driving laws. However, Arizona may soon catch up to the vast majority of the country, as its Senate passed a bill to universally ban texting on March 5, 2019.